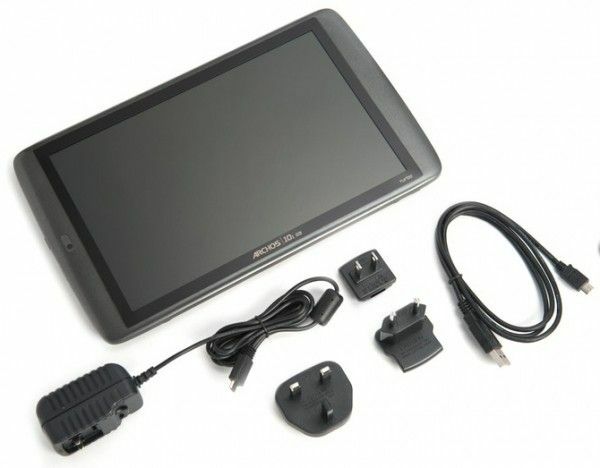 Tag Archive | "archos 101"
It’s getting somewhat difficult to sort out the wheat from the chaff when it comes to low cost tablets now. For me, someone that has good devices knocking around, it’s even more difficult to find something that stands out. 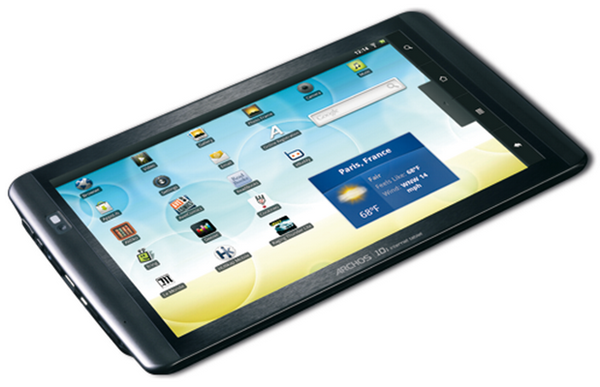 One device that has piqued my interest over the last few weeks though has been the Archos 101. Personally I’m not too interested in it but it’s not me I’m thinking about. I’m thinking about the family coffee table, parents and grandparents, maybe even the car. As I mentioned in my Sept 3rd hands-on, it’s a good value product that could work well as a gift. The iPad would look better on the coffee table of course but at a starting price of 499 Euros, it’s out of the ‘gift’ price range for many. What are you going to use this coffee-table gadget for? Ignore email, Twitter, Facebook and anything else that needs an account because when you share a single-user Android device with the family, you’re at risk. What the family needs (possibly) is a flexible on/offline video player, image viewing, web browsing and gaming, a bus/train/flight timetable, holiday booking, Wikipedia and other casual activities. Pure entertainment. You won’t be worried about mobile use (although portability is important) so the low-cost 10 inch screen devices seem to be a perfect fit. Video codec support is will be needed for supporting all the different types of videos thrown at it and TV-Out support goes hand-in-hand with that. SD card or USB on-the-go is also useful. A stand, critical. A full applications market would be great but I think that many can live with a set-up phase that includes a bit of sideloading if it’s going to save them the money. 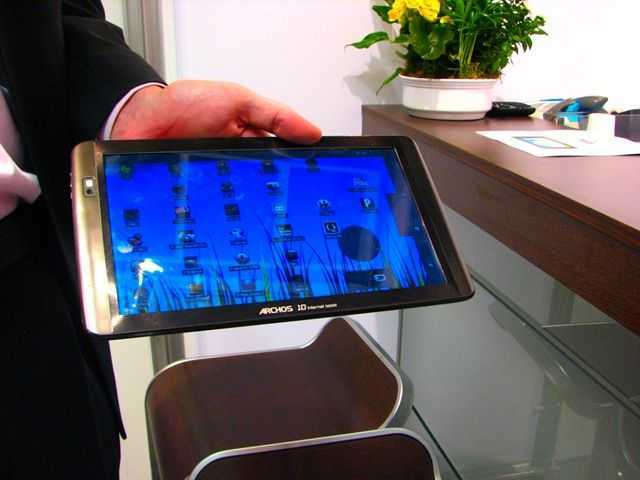 The Archos 101, at just 299 Euros, looks like the ideal device. It’s Archos which means you’ve got their history to take into account and late delivery of products, quality and upgrades is something that I got hit with on the Archos 5 Internet Tablet. As Froyo has already been released for the 101, at least the major upgrade has been delivered. The community is strong with this one too and hacks, tips and tricks will be freely available. 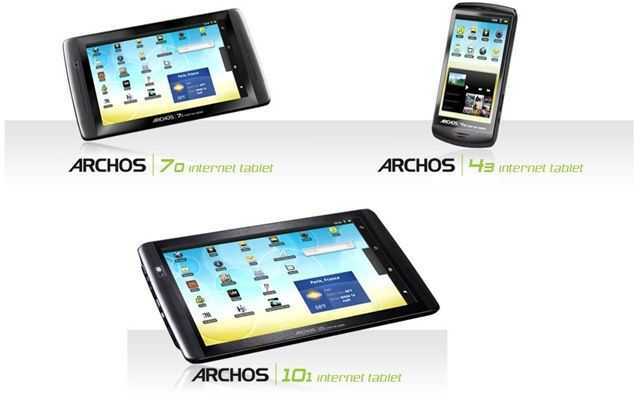 The Archos 101 is a device that a lot of people are looking at this holiday period. I’m getting a lot of queries about it and even after reading a review of the Advent Vega yesterday, I still see the 101 as being the most interesting of the low-cost 10 inch devices. Yes, the Toshiba Folio 100 has a content store for audio and video but its quite a bit more expensive. The only thing that worries me about the 101 is the hardware. Tracy and Matt have a review that isn’t positive at all about the hardware. There are mentions of screen viewing angle problems and also other issues but I can’t see any general consensus that the Archos 101 is a bad product so right now I’m putting this one at the top of my 10 inch Android list and might even venture out soon to buy one. Here’s my hands-on video from IDF in September.